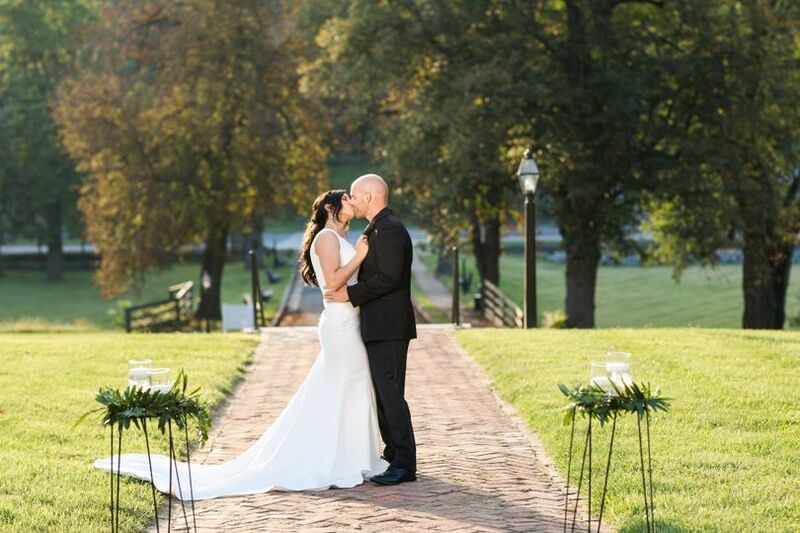 Located in Staunton, Virginia, The Blackburn Inn invites couples to host their outdoor ceremony and other wedding-related events at their historic hotel & venue. 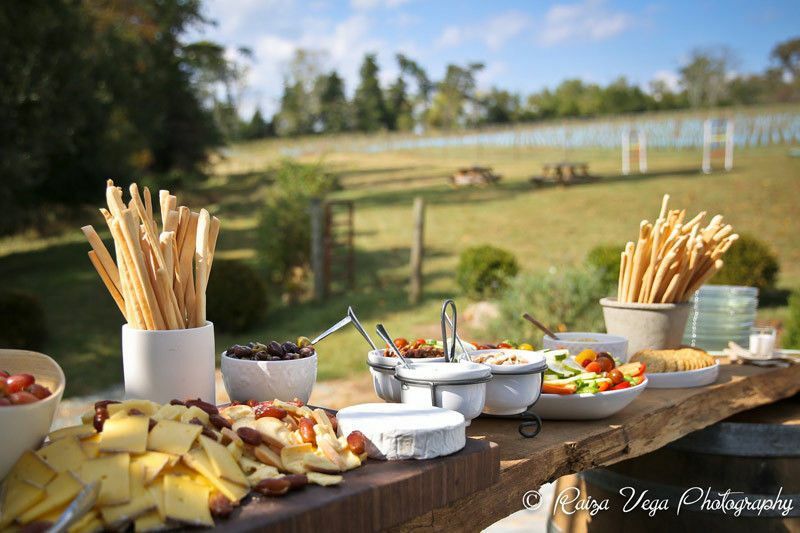 Situated on an 80-acre campus atop rolling green landscapes spotted with willow trees, the boutique hotel has been modified to offer a modern, upscale retreat for guests. 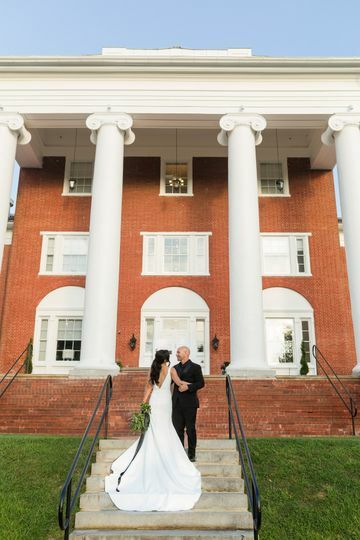 The venue’s red brick, whitewashed wood trim, and dramatic details offer couples a distinct and classic Virginia space to exchange vows. 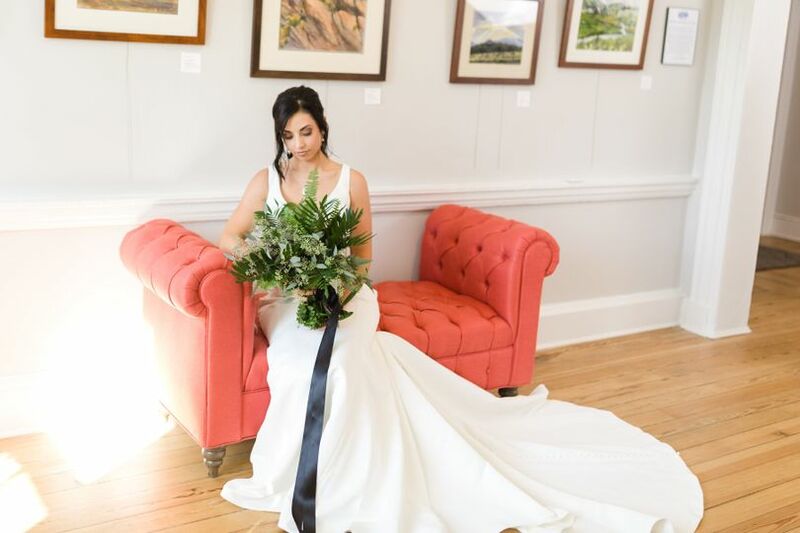 Couples are welcome to use the venue for wedding ceremonies, receptions, and elopements, as well as engagement parties, rehearsal dinners, and bridal showers. 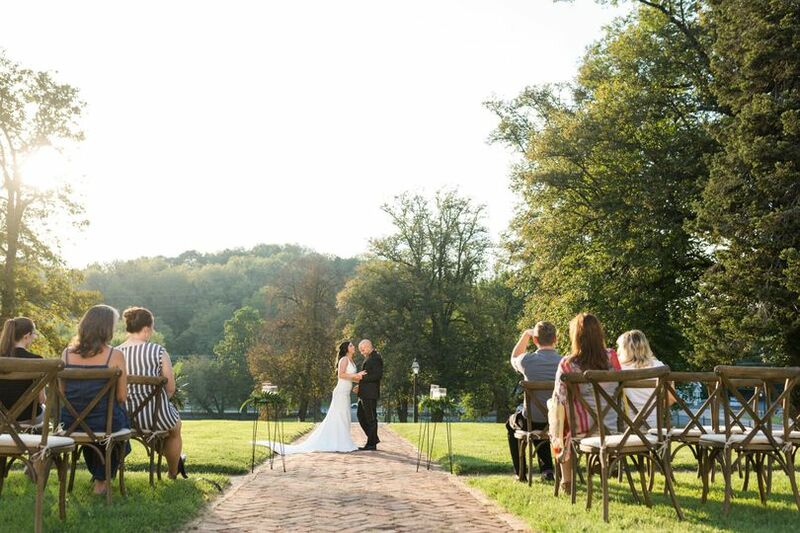 The Blackburn Inn offers both covered and uncovered outdoor options, capable of accommodating up to 200 wedding guests. 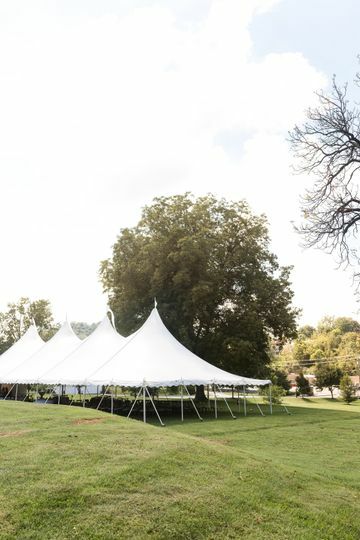 Couples can choose areas such as the fountains, the tented lower terrace, the gazebo area, or the meadow to organize their occasion. Plenty of parking can be offered to wedding guests, with valet service and wheelchair access also available. 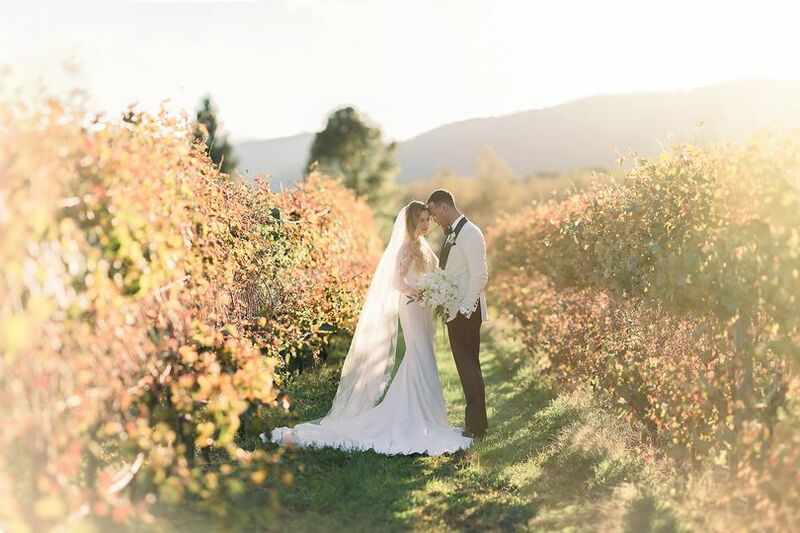 The Blackburn Inn has a selection of all-inclusive packages couples can consider when booking this venue. The packages may contain extra services for the ceremony, cocktail hour, reception, and accommodations. 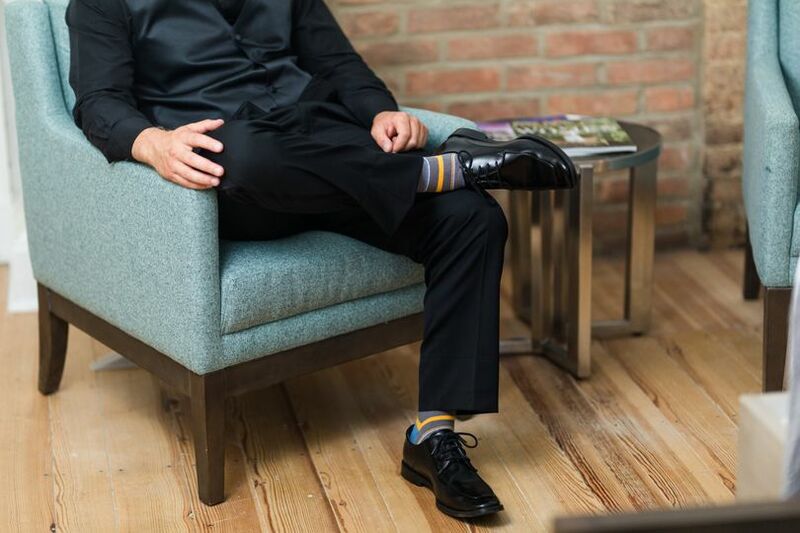 Vendors can be selected from a list of preferred vendors supplied by the facility, which are all professional, exceptional businesses in the local area. 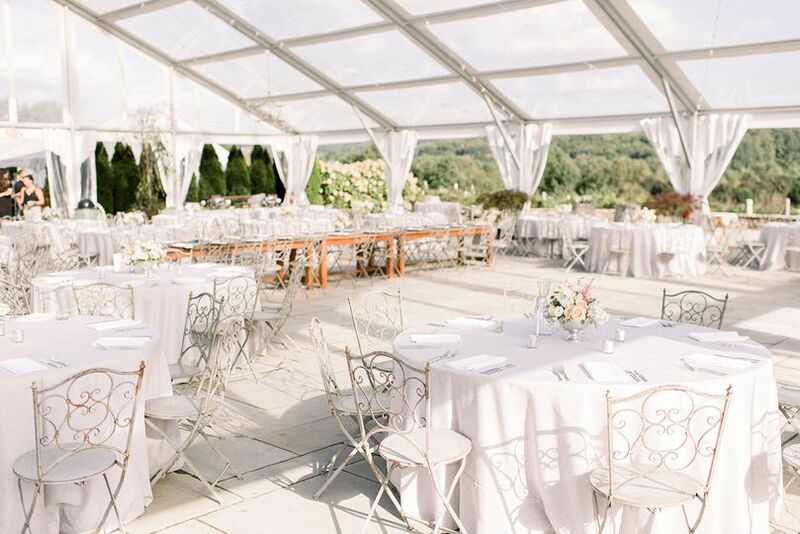 An on-site venue manager will be present the day of the wedding to assist with most necessary details, as well as arrange set up and clean up for the event. 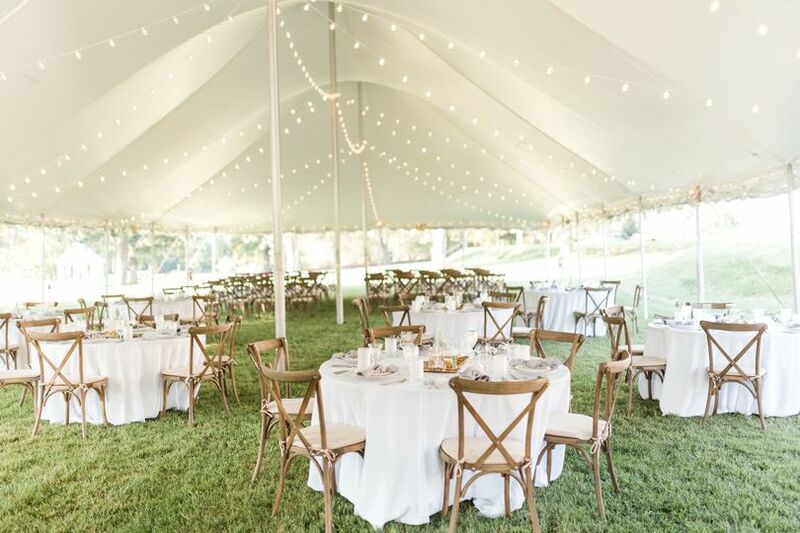 The Inn can also provide items such as chairs, tables, lighting, tents, and glassware. 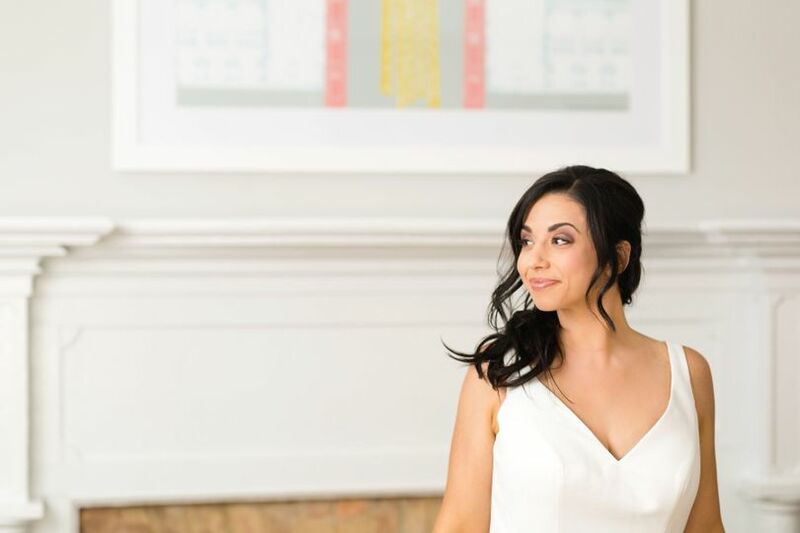 The in-house bar offers couples the option to have their own bartenders serve house and specialty beer and wine to guests from an open, limited, or cash bar. First and foremost, The Blackburn Inn is a luxury boutique hotel, boasting 49 uniquely appointed guestrooms featuring luxury linens, rainfall showeheads, and original hardwood floors. The Blackburn Inn is happy to offer overnight accomodations at discounted rates. Select rooms are pet-friendly, and all are designed for rest and relaxation with comfortable beds, tall ceilings, and lounge spaces. Absolutely beautiful venue and location. The Blackburn Inn really gives you a good feel of historic Staunton and is seconds away from downtown. Very professional and friendly people. Overall wonderful experience! The Blackburn Inn is an amazing property with such historical value! Their team is great to work with and the grounds are so beautiful, especially in the spring and summertime! I cannot wait to host future weddings here.